Introducing the Audemars Piguet Royal Oak Double Balance Wheel Openworked, which debuted today in Geneva, at SIHH. 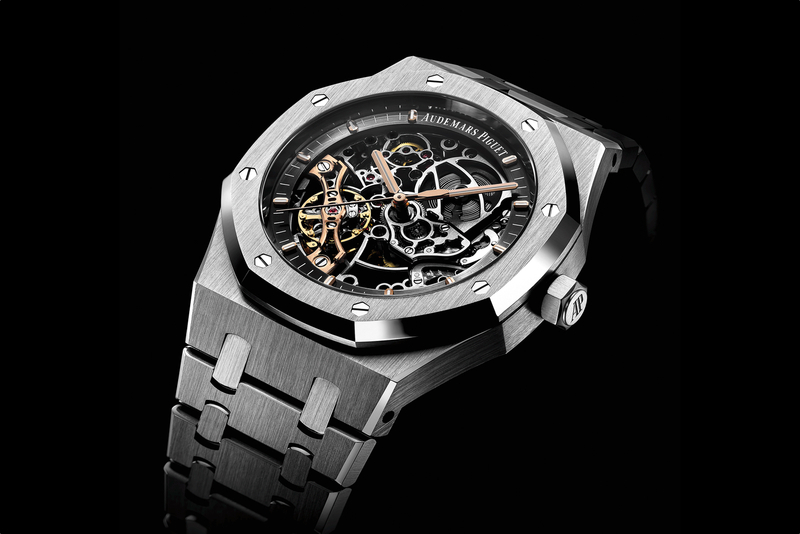 Audemars Piguet has been a master of the intricate process of skeletonization since the 1930s. Today, they still perform the filing, decoration, and finishing the same way they did back then: by hand. The reasons for this are both aesthetic and technical. For example, a milling machine produces perfectly acceptable rounded angles, but it cannot produce the perfect interior angles (or v-cut angles) that so superlatively reflect light. 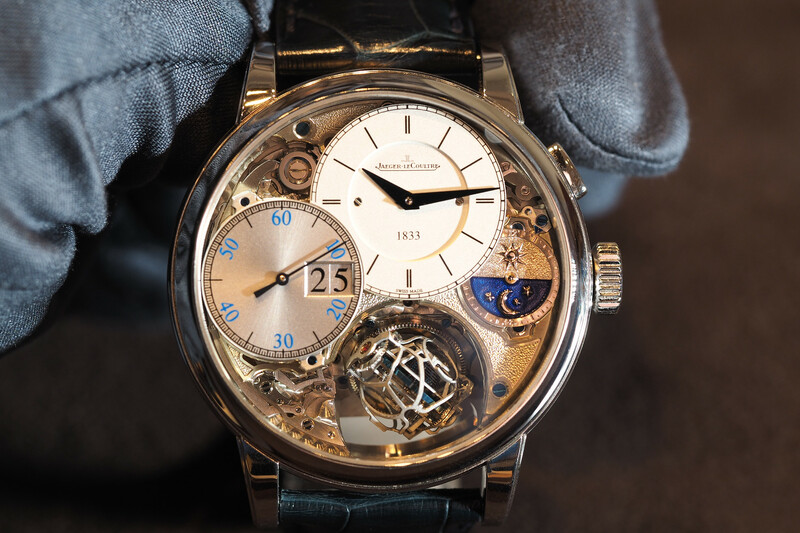 Technically speaking, the most notable innovation on this piece is the double balance wheel. The watch literally has two hearts, and it’s a marvel to see in action. 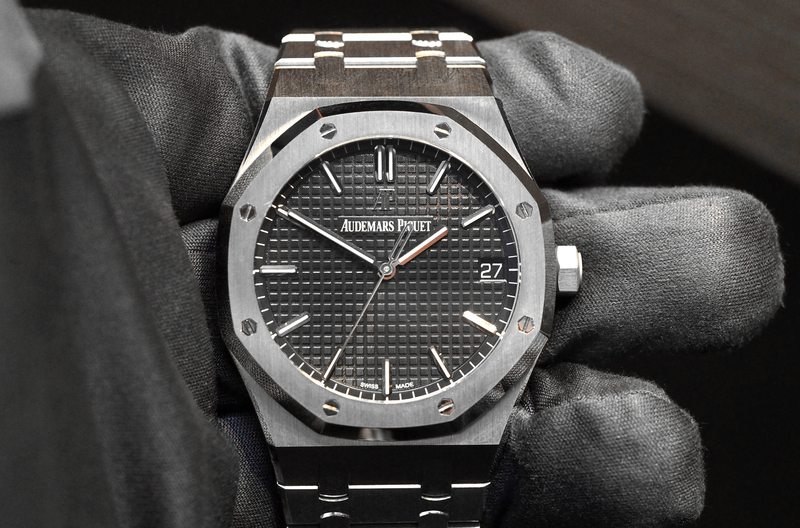 Audemars Piguet spent five years developing the double balance wheel, and the results are stunning. 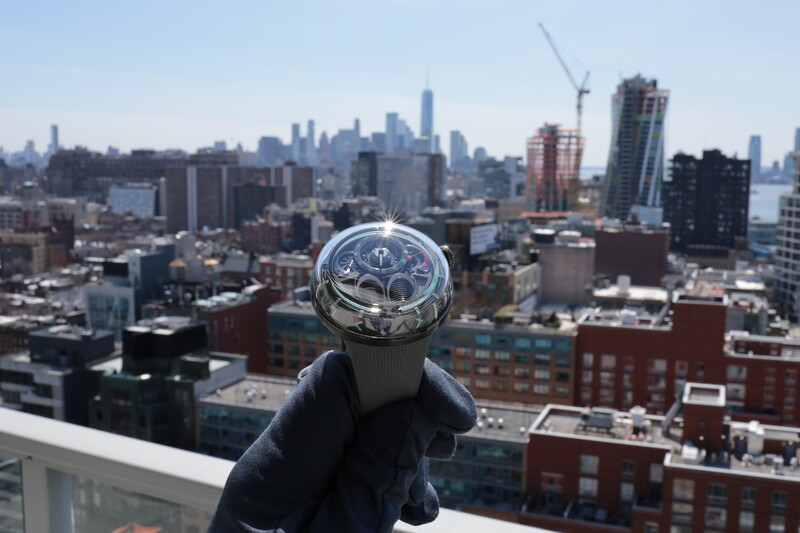 The watch is animated by automatic manufacture caliber 3132 which beats at 3Hz (21,600 vph), has 245 total components, 38 jewels, and a 45-hour power reserve. Functions include hours, minutes and central seconds (this is not a “Jumbo”). The “stacked” double balance wheel movement is a world’s first, exemplified by its combination with the beautifully hand finished and skeletonized movement and dial – presented inside a 41 mm diameter Royal Oak case that is a mere 5.57 mm thick.